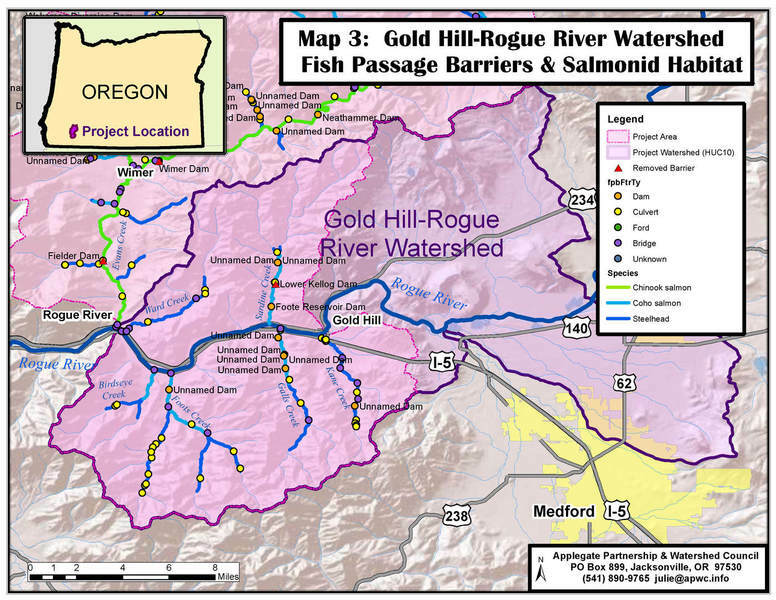 With permission from landowners, the APWC is surveying properties for fish passage barriers and assessing fish habitat in high priority salmonid streams in the Seven Basins Watershed of the upper Rogue River in Gold Hill and Rogue River. 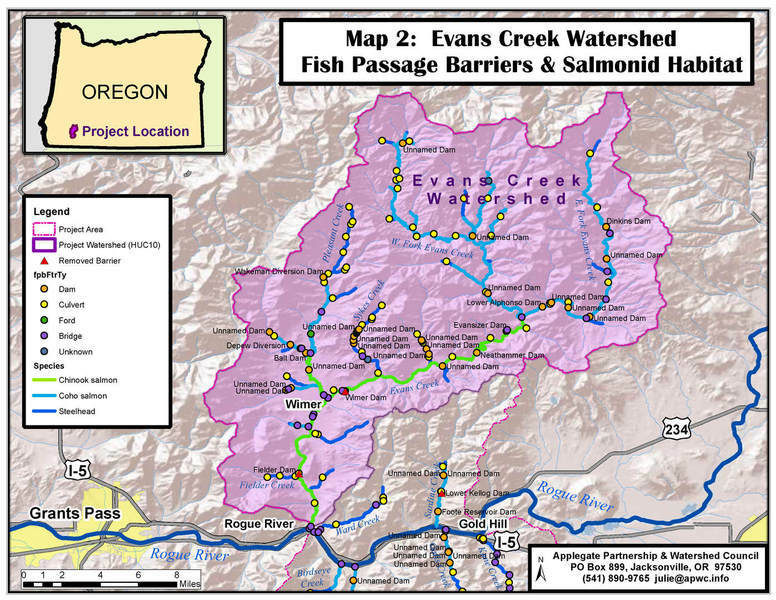 Streams to be evaluated include: Evans Birdseye, Foots, Galls, Kane, Sardine, and Ward creeks and their tributaries. If you are interested in participating please contact us. We are a resource for landowners and irrigators. We provide free consulation on riparian restoration, stream bank erosion, irrigation, culvert replacement, and other issues. 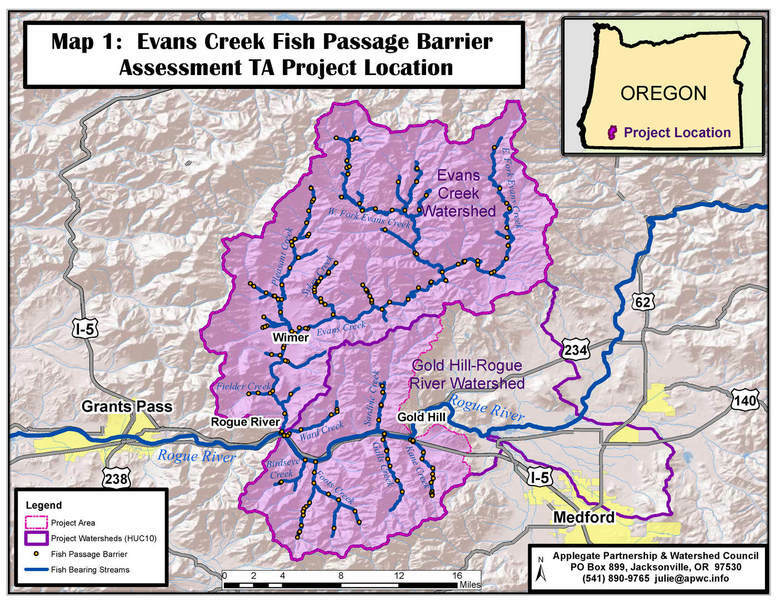 If you do not have any potential fish passage issues, we would still like to survey your property in order to get a better picture of the entire ecosystem. Thank you!